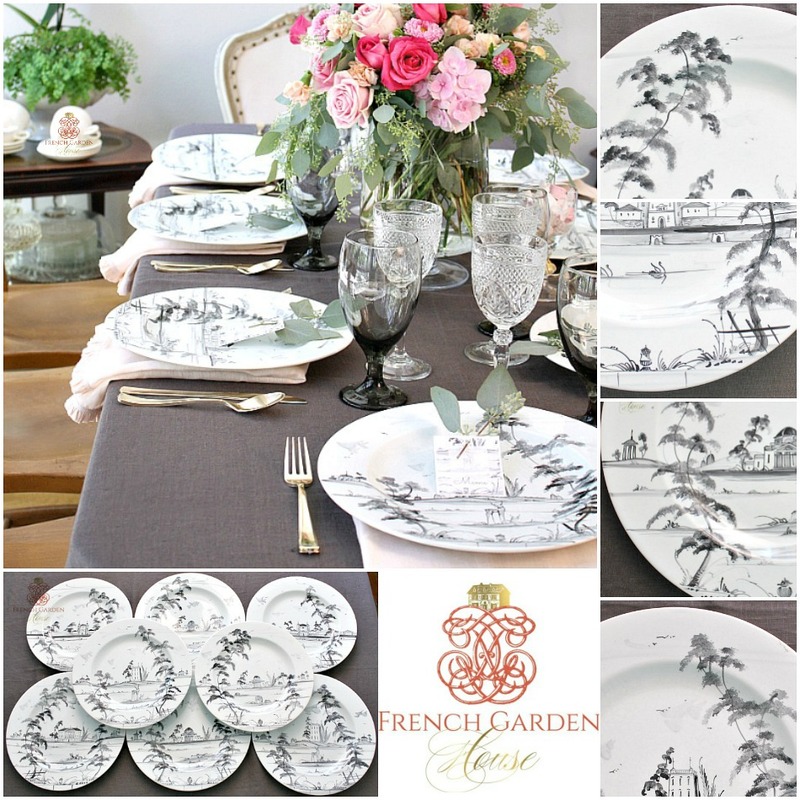 Dinnerware set in beautiful hand-painted patterns that evoke the spirit of 17th and 18th century England. 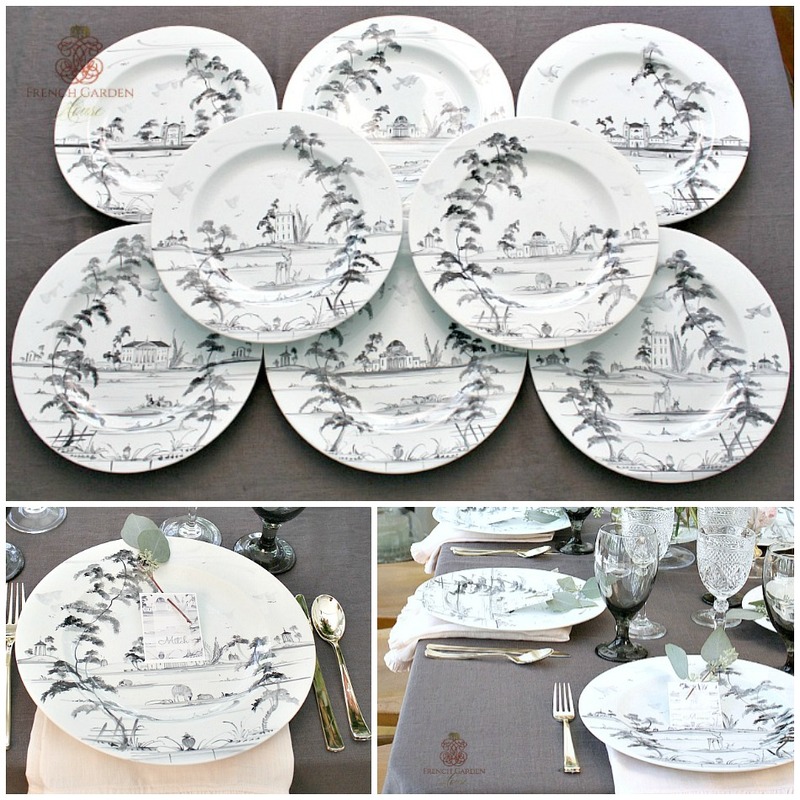 This set is done in tonal shades of grey, which is a color for all Isis Ceramics signature patterns. Dated 1998. This set was collected by the estate owner in the Palladian and English Garden patterns, featuring grand estates, follies, lakes, deer, cows, swans, and sheep. 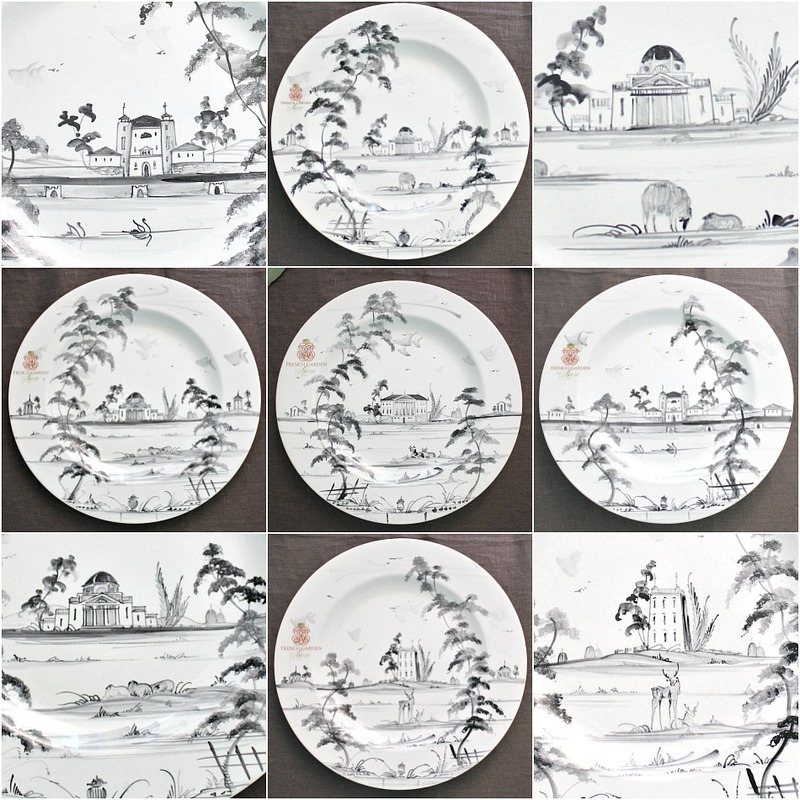 Each one is an original, hand painted work of art, signed and numbered on the back. 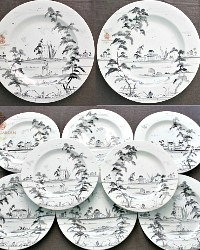 Sold in a set of 8 Dinner Plates.